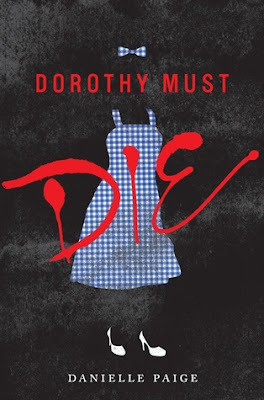 Dorothy Must Die was easily the most exciting premise for a book that I’ve read in a while. Throw in the fact that I happen to find myself currently living in Kansas – and I was totally on for the ride. What might surprise you is that I hate the Wizard of Oz universe. I’ve never seen it. But between seeing Wicked, knowing all the pop culture references towards it, and watching at least a dozen movies based in the Oz universe, I’m pretty sure I get the basic idea. The reason I’ve never gone after the original is that is has always seemed so vanilla. So very, very bland. But then I read the synopsis for Dorothy Must Die. Something about “the other girl from Kansas” just drew me in. Reading a story in which Dorothy is the villain was something I just couldn’t resist. So why the 3 star review, then? A few reasons. As cool as the premise was, and as original as the outline for the book – it still felt bland at times. Don’t get me wrong, for the first 25% or so of the book, I was absorbed into Oz. Reading about Amy Gunn and her home life, and the terrifying tornado that brings her and her pet rat to Oz was addicting and exciting. And yet, at about 30% into the story, something happened. I put the book down. And I didn’t come back to it. For almost 3 months. Recently, I picked it back up and continued on, and found the story to be only mildly enjoyable. I felt as though the entire plot line was based upon one singular mission and conflict. Dorothy has to die. That’s all well and good – but when we’re taking a one-lane highway down 300 pages of events, I need a couple twists off the beaten path to keep me interested! Aside from the lack of suspense, I found myself struggling to relate at all to the relationship between Amy and Nox, the obvious love interest for “the other girl from Kansas”. This isn’t a critique of the writing itself, as I did enjoy the depiction of Oz and the creatures found within, but Nox as a person just fell incredibly flat. Amy may well have been talking to a cardboard cutout for a large part of the novel and had the same amount of emotional interaction and reciprocation. Overall, no, I likely won’t be continuing this series. I was frustrated by the ending, which had a very cliche ‘it was all a dream’ feel to the (anti)climax and there are just too many other books waiting in the TBR pile that are calling out to me far more!